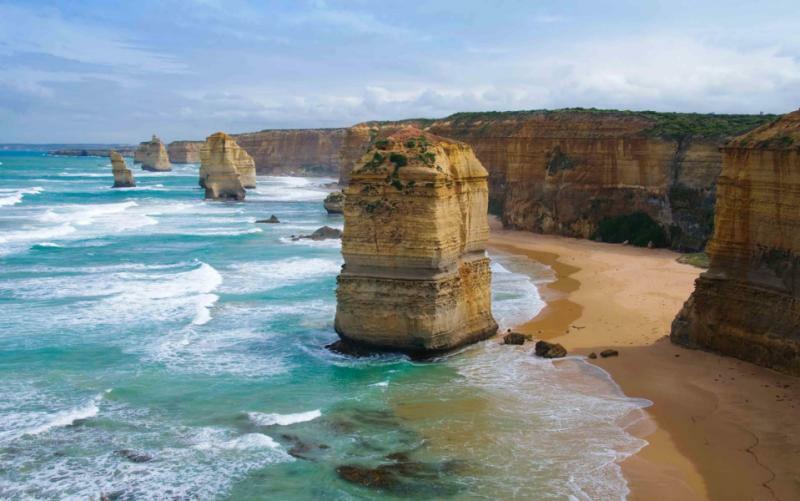 From dazzling urban harbors to blue-hued mountains, vast underwater gardens, lush tropical rainforests, arid red deserts and colossal rock formations; Australia is at once a land of startling contrasts and a fascinating place to explore. Discover it all as you snorkel the Great Barrier Reef, traverse the Blue Mountains, cuddle koalas, tour Uluru and set off on more than one unforgettable adventure on a memorable Australia vacation. Nobody could ever charge Australia with being dull. Shore to shore, this intriguing land has a bag of secrets that’s ready to knock the socks off visitors. 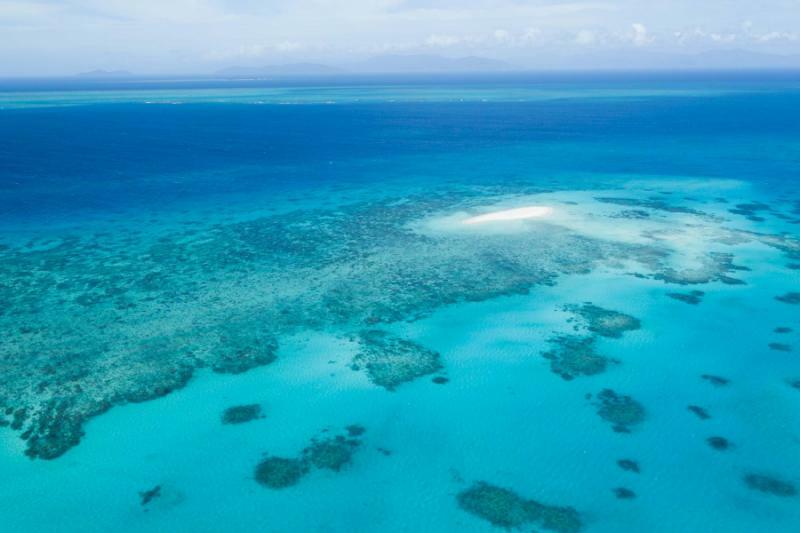 From mountains steeped in a sapphire haze to blue-headed ostrich-like birds, from white sails of an iconic opera house to those of a catamaran on tropical Queensland waters, and from massive tropical trees to colossal monoliths in the barren plains of the red center. 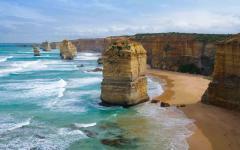 Experience the many contrasts and juxtapositions on a 15-day trip across the land Down Under. Begin with an intriguing plunge into Sydney’s colonial past and its feats of architecture, before exploring the valleys of the nearby UNESCO World Heritage-listed Blue Mountains. Change scenery and pace with a flight to seaside village, Port Douglas, where you’ll get to explore pristine beaches, see mighty crocodiles in action, cuddle up to koalas, take a historic scenic railway into a mighty UNESCO World Heritage-listed rainforest, discover indigenous culture and history, try your hand at throwing a boomerang, embark on a sunrise hot air balloon ride and visit the UNESCO World Heritage-listed Great Barrier Reef. 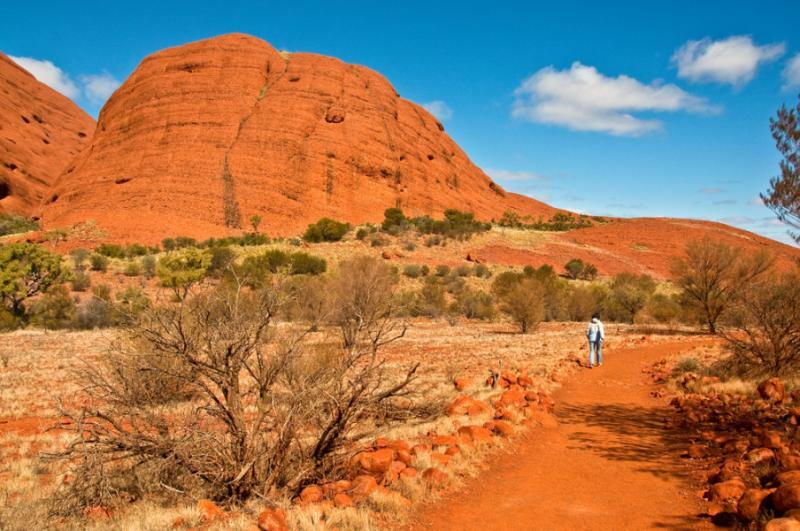 Then switch gears again and head for the magnificent Uluru-Kata Tjuta National Park in the red center of Australia. Watch the blazing sun rise over colossal rock formations, acquaint yourself with indigenous legends, and explore a remote outback town, before finishing where you started — in Sydney — with a final stroll across world-famous Bondi Beach. 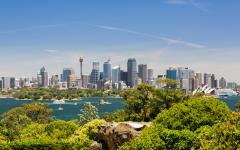 Begin your adventure by climbing aboard a plane to Sydney, Australia! Travel forward in time as you cross the International Date Line (don’t worry you’ll gain the time back on your way home). 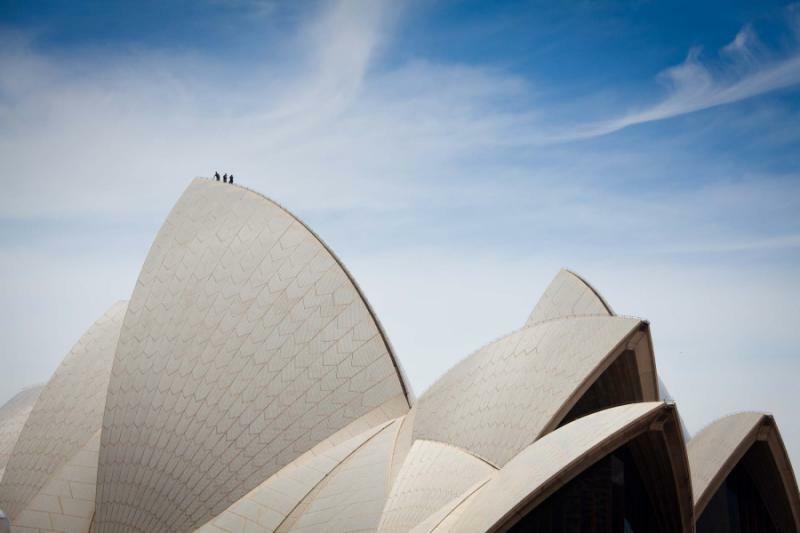 As the largest city in Australia, Sydney boasts a modern metropolis of fine dining establishments, chic bars and cutting-edge architectural structures. 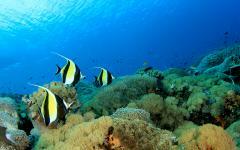 And yet to this it adds an easygoing atmosphere, a dazzling harbor and relaxed beach culture. It is a city that can at once excite and relax, and one in which wonder can be found around every corner. Discover its merits as you spend your first day around the harbor. 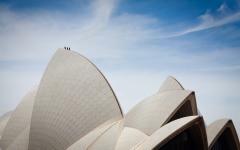 After checking into your hotel, get acquainted with the iconic Sydney Opera House on a guided tour. Learn of its curious history and the architect who designed it, as you stroll its grand interiors. When the tour is over, you’ll have the afternoon free. 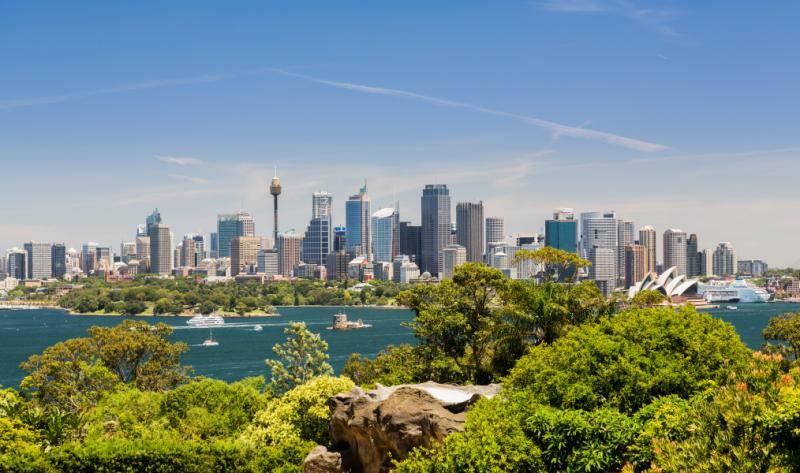 You may like to take a turn through the Royal Botanic Gardens, which offer a great display of local flora and some of the best views over the city. 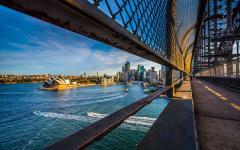 Or, if you’re feeling a little adventurous, do the famous Sydney BridgeClimb. 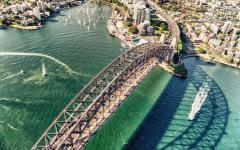 which despite its daring name, is actually a relatively gentle experience and one that affords unprecedented views over Sydney. 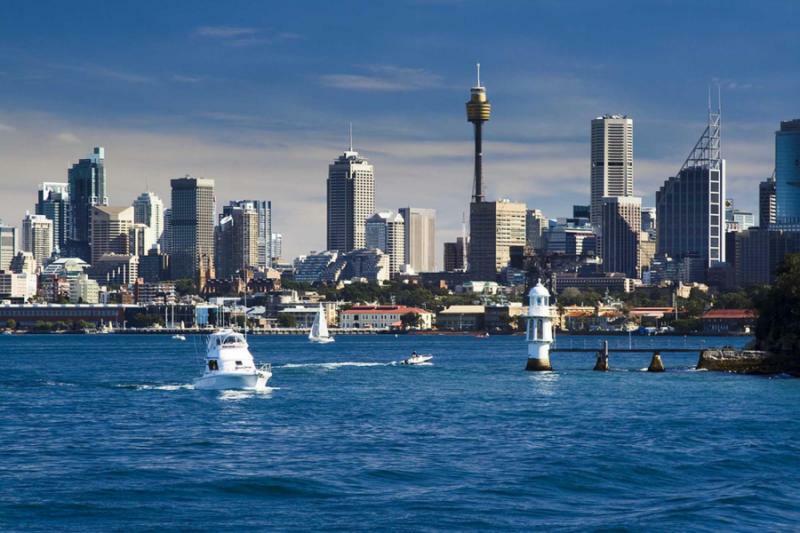 Before it was a bustling urban center, Sydney was a penal colony where unfortunate souls guilty of various crimes — from stealing bread to murder — got exiled. As such, the city’s foundations — the first streets, buildings and districts — were built and inhabited by convicts, making for a fascinating history and giving the city an interesting duplicity. 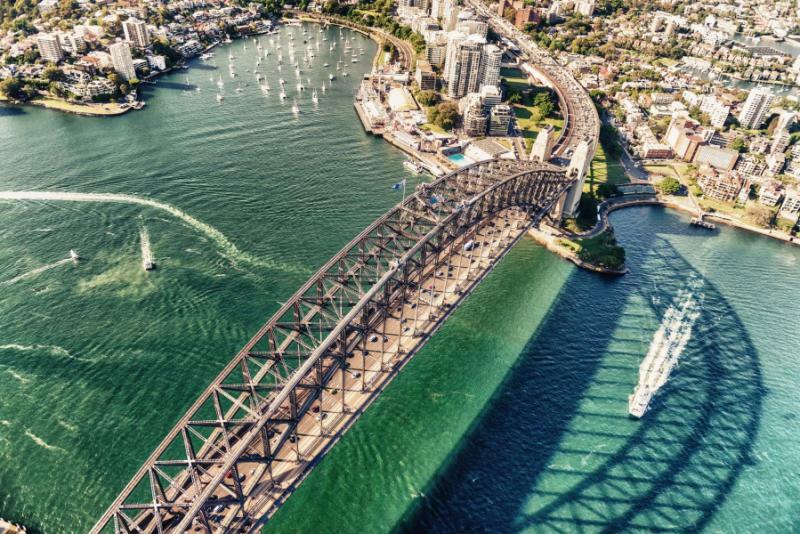 Start your morning with the modern side of Sydney, thanks to a Matilda Cruise around the harbor. 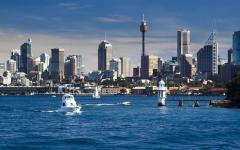 Set off from Circular Quay ferry wharf and see some of Sydney’s best sights from the water. Then turn back the hands of time to the 18th century as you embark on a guided walking tour through the historic Rocks district. With a vibrant history dotted with crime, prostitution, executions and plagues, its little lanes hold many intriguing stories. The area is also well known for its opal jewelry stores, boutique art galleries and trendy pubs, cafes and restaurants. 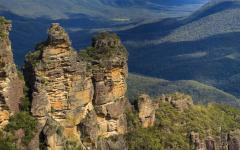 It’s hard to imagine in a landscape of skyscrapers and ocean, but just 80 kilometers west of Sydney lays the UNESCO World Heritage-listed natural paradise of the Blue Mountains. The dominant forces here are eucalyptus-covered canyons, breathtaking valleys, lush rainforests and more than one idyllic waterfall. Take it all in as you abandon the city for the country, and the buildings for giant sandstone rock formations. Make your own way to lookouts and undertake one of the trails that leads from dry eucalyptus bush to verdant fern-covered rainforest or go on a four-wheel drive small group tour and allow a local guide to show you hidden spots, thundering waterfalls and treat you to lunch in some of the area’s most picturesque settings. 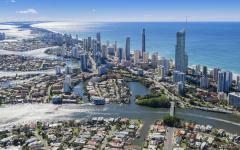 Exchange the temperate climes of Sydney for the tropical paradise of North Queensland. Tucked away above the Tropic of Capricorn, this part of Australia enjoys dazzling sunshine, steady warm temperatures, secluded white-sand beaches and some of the most awe-inspiring UNESCO World Heritage Sites. 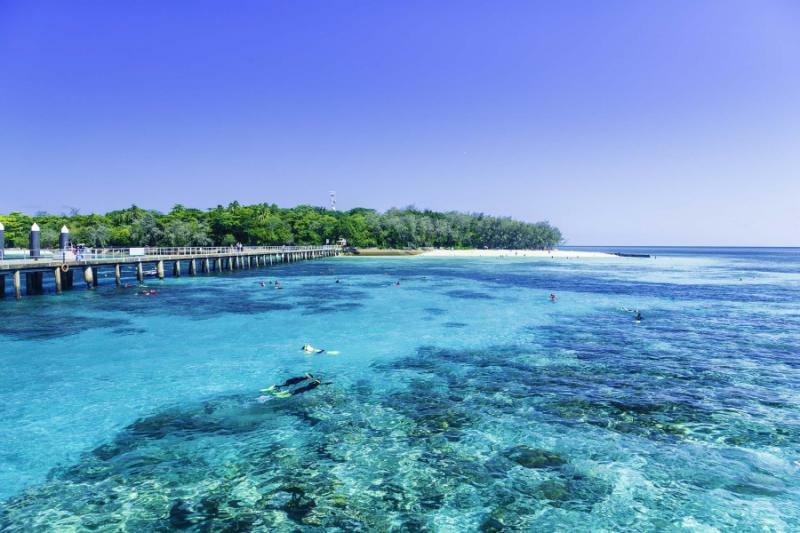 Prepare to see it all as you board a flight to Cairns, followed by a scenic drive to the seaside village of Port Douglas. 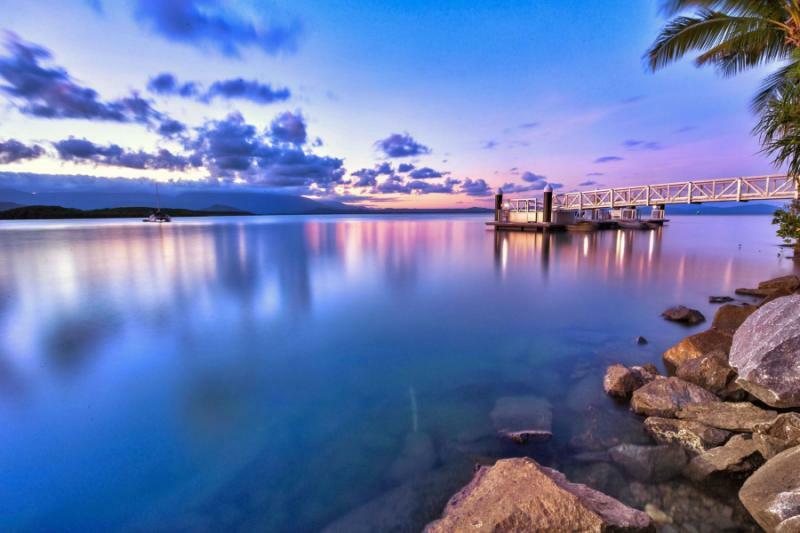 Settle into your hotel, then make the most of the balmy weather and the stunning surrounds by strolling along the palm-fringed Four Mile Beach and taking a dip in the calm tropical waters. As evening nears, find a waterside restaurant and treat your taste buds to fresh seafood and a glass of local Australian wine. 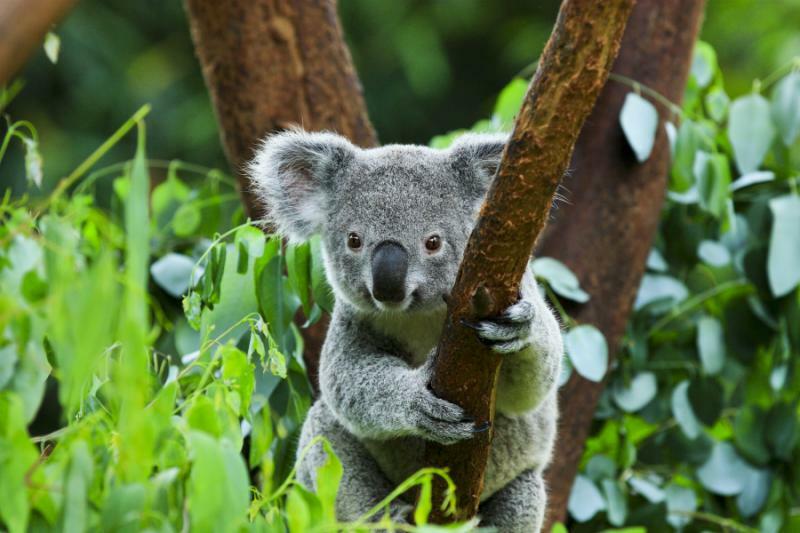 Aside from vast red deserts, coral gardens and the occasional crocodile hunter, Australia also boasts an array of weird, wacky and cute creatures that you can’t find in the wild anywhere else in the world. 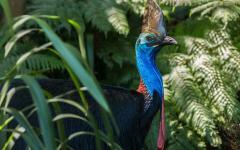 From adorable marsupials like kangaroos, koalas and wallabies to sinister crocodiles and cassowaries (blue-headed ostrich-like birds with an attitude), there’s a lot to love about the local fauna. Come face to face with some of the native creatures as you begin your day at Cairns Tropical Zoo. 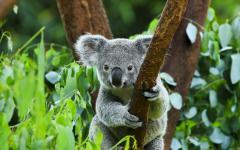 Cuddle up to a sleepy koala, hold an alligator and feed kangaroos as you make your way around the enclosure. 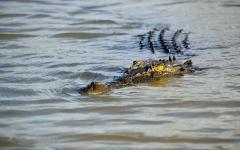 Then make your way to Hartley’s Crocodile Adventures, where a short boat ride on Hartley’s Lagoon will show you the strength, speed and terrifying force of the local crocodiles. 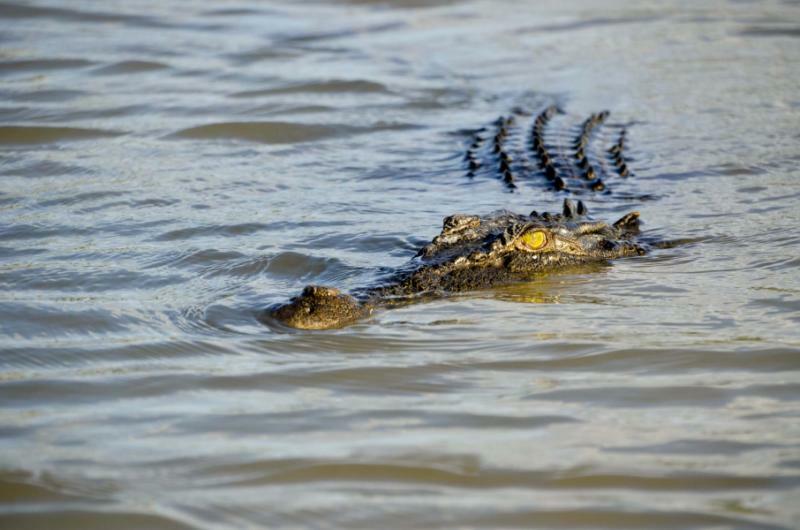 Learn about conservation efforts and the natural environment of tropical North Queensland. 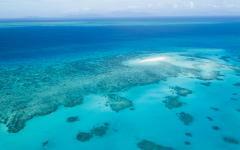 You’ve spent enough time on dry land, so abandon solid shores for the underwater wonders of the Great Barrier Reef. Spanning an immense 133,000 miles — enough to be visible from space — the reef is not only a UNESCO World Heritage Site but also one of the seven wonders of the natural world. Vibrant coral gardens in hues of blue, green, yellow and fuchsia will await you as you climb on board a cruiser and take off for the outer reef on a full-day adventure. 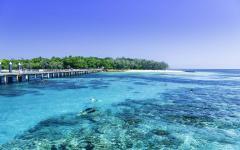 Admire the expanse of the Coral Sea as you glide your way to prime snorkeling and diving spots. Once your vessel drops anchor, gear up and explore the underwater world around you. 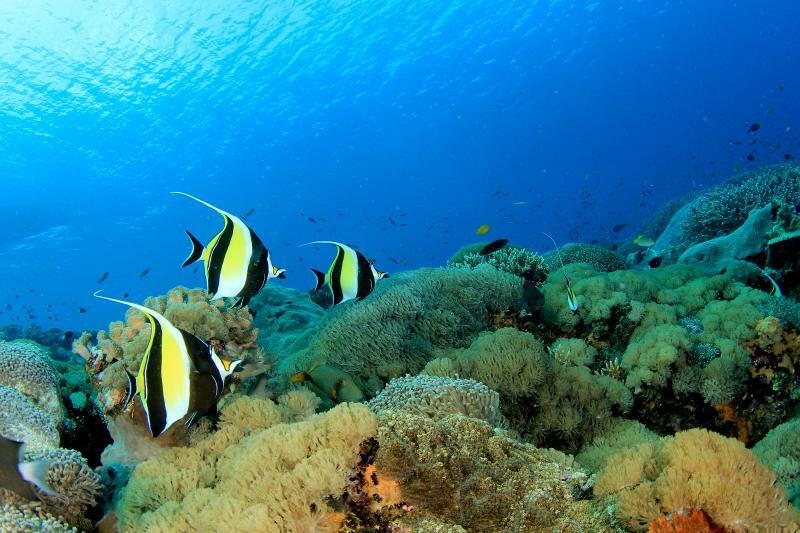 The crystal clear waters boast thousands of species of fish, several types of sea turtles and, of course, colorful soft and hard coral. 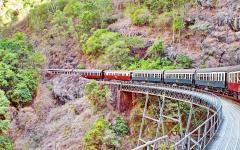 A historic steam train, the railway line of which was hand-carved by local men more than 130 years ago, will begin your expedition into the depths of a tropical rainforest. 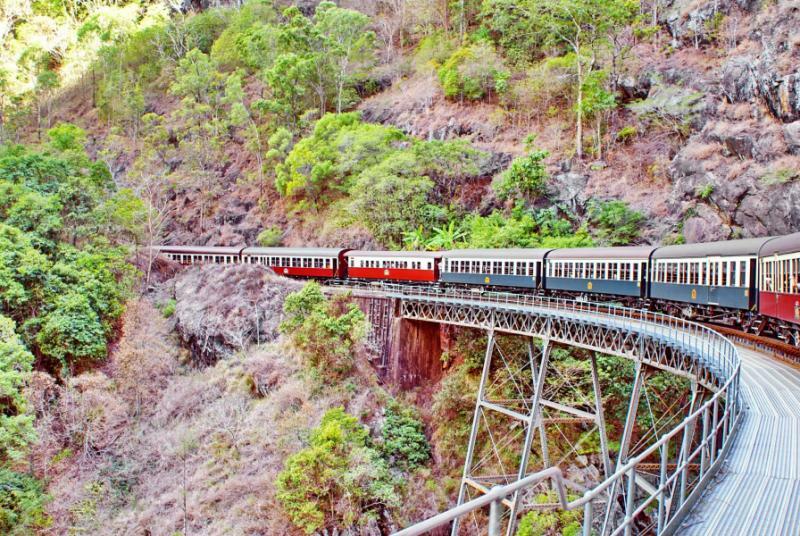 Gaze out over canopies, sheer cliff drops and waterfalls as the Kuranda Scenic Railway takes you to “the village in the rainforest,” Kuranda. Once here, go on a walk through the rainforest, stroll through a butterfly sanctuary, feed kangaroos or wallabies at the local koala park or just relax with a coffee and enjoy the serenity of the area. When you’re satisfied, make your way to the Skyrail — a gondola that will take you high above the treetops offering a new perspective of the rainforest and its surrounds. Finally make a stop at the Tjapukai Aboriginal Cultural Park, where you’ll undertake an indigenous tour and learn more about the fascinating history and culture of the aboriginal inhabitants of the area. Watch traditional dances, learn about bush medicine and try your hand at throwing a boomerang, a spear and playing the didgeridoo. 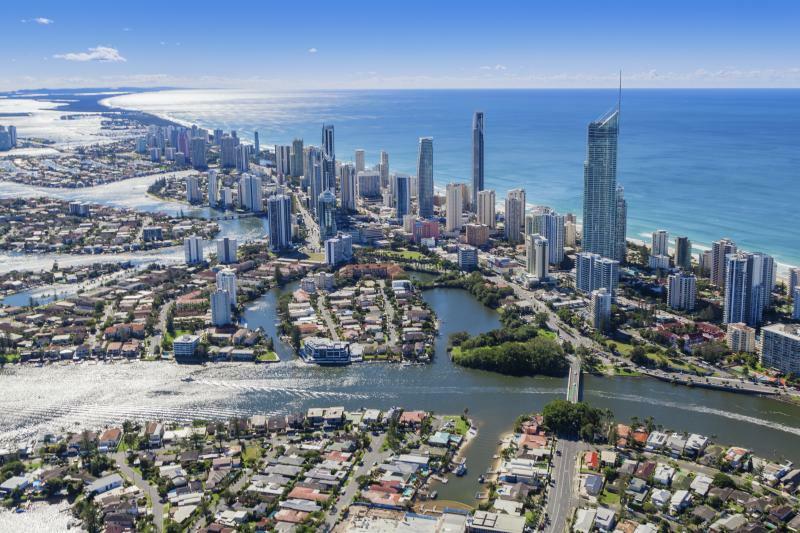 As the largest city in North Queensland — and one happily positioned between the reef and rainforest — Cairns is a veritable mix of natural beauty and cultural delight. Spend day ten of your trip discovering what makes it great. Start your morning with a sunrise hot air balloon flight and see the area’s charms from the sky. Upon landing, pay another visit to the Tjapukai Aboriginal Cultural Park for a hearty Australian breakfast. 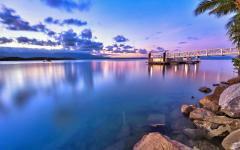 If you’re not much of a morning person, sleep in and begin with a late breakfast at one of Cairns’ many cafes. Then go for a stroll along The Esplanade — a boardwalk that winds its way along the coast, affording beautiful views over the water. Stop for a moment at The Lagoon — a large swimming and barbecue area on The Esplanade — and take a dip or just enjoy the relaxed waterside atmosphere. Spend the afternoon wandering into local artist shops and galleries or head to one of the pristine beaches north of the city. Alternatively, if you’re of a daring disposition, go on a white water rafting expedition through the rainforest. Say your goodbyes to the tropical north and prepare for a complete change of scenery. Watch as fertile rainforests and azure waters are replaced by sweeping red plains and colossal rock formations on an easy three-hour morning flight into the red center. 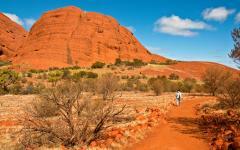 After settling into your hotel and the dry desert climate, join an afternoon tour of Kata Tjuta. The rounded rock formations form a huge and quirky natural landscape, which holds many natural and cultural gifts. Walk around the giant bornhardts and learn of indigenous legends of the snake Wanambi, the mice women, the poisonous Liru and the unfortunate kangaroo man, Malu, and his lizard woman sister, Mulumura. Peer up at the tallest of the rock formations, Kata Tjuta/Mount Olga, and learn how a German royal influenced its English name. In the evening, experience the legendary Sounds of Silence Dinner. The event, which takes place in the Uluru-Kata Tjuta National Park, will treat you to Australian cuisine and culture under a naked desert sky. Enjoy a gourmet Australian barbecue and local wine in spectacular surrounds, while listening to the soothing sounds of the didgeridoo and learning about the southern skies above you. Wake up before dawn and explore the Uluru-Kata Tjuta National Park at sunrise on an unforgettable camel tour. Leave civilization behind as you ride over secluded sand dunes and enjoy unparalleled views over the area. Set your eyes on Uluru and watch as the rock burns a fiery red with the first rays of the sun. Then enjoy an open-air buffet breakfast while making the most of the area’s beauty and serenity. In the afternoon, join an indigenous tour of Uluru. Listen to the legends of the local Anangu people, learn about the flora and fauna of the area and become acquainted with the colossal rock itself. Admire the monolith from the best vantage points and watch as it changes color with the movement of the sun. The geographic center of Australia, an arid environment of breathtaking deserts and the occasional spring, also boasts an interesting rural town. Known as Alice Springs by its English name (or Mparntwe by the indigenous Arrernte people of the area), this little place is gifted with a spectacular natural backdrop and a way of life that embraces its isolation. After settling into your hotel, explore the fascinating place on a coach tour. Find out about the European settlement of the desolated area and the role played by the historic telegraph station. Visit the site of the Royal Flying Doctor Service and find out how medicine works in the remote parts of Australia, then make a lighthearted stop at the School of Air, where you can get an insight into education in the outback. Finally meet some of the more unique local inhabitants at the Alice Springs Reptile Centre. See the shy Perentie lizard (the largest monitor lizard native to Australia) and the Thorny Devil (a strange lizard, named after the thorns that cover its entire body) and learn more about desert wildlife. Finish your day with panoramic sights over Alice Springs from Anzac Hill. Spend your morning bidding farewell to the red center. Then, board a midday flight to Sydney. Steal a few final looks from the plane and watch as red soil gives way to bush, then mountains and finally an urban city landscape. 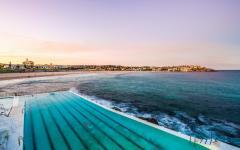 Check into your hotel in the prestigious eastern suburbs of Sydney and enjoy proximity to the world-famous Bondi Beach. Take in refreshing ocean views from your room as you freshen up, and then head out to explore Bondi’s elegant, yet relaxed, beach culture. 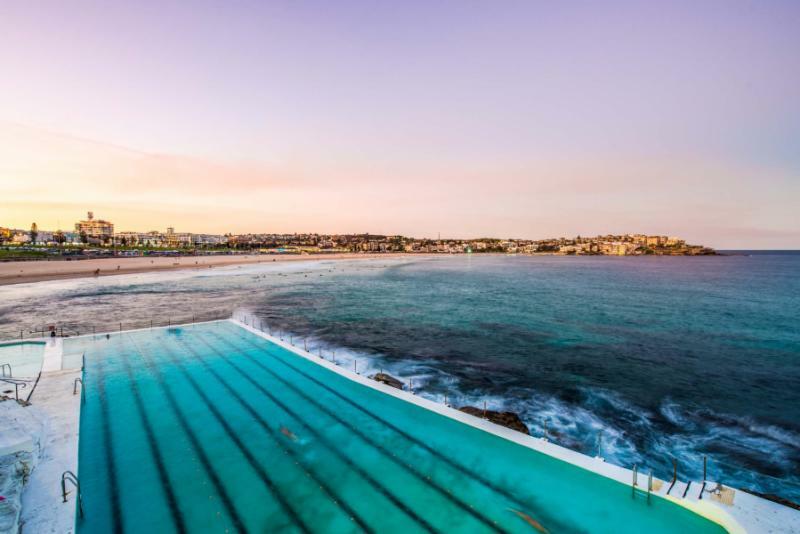 Treat yourself to gelato, and walk along the sand, admiring the ocean and the famous Bondi lifeguards. Wave a final goodbye as you head to the airport and board your flight home, your mind swimming with unforgettable memories. "Continue doing what you are doing! I trust you and will use Zicasso again in the future!" "Just about everything was great...the Thailand travel agency was really excellent..."
"The guides were knowledgeable and helpful."